Scott Sommerdorf | The Salt Lake Tribune Olivia Wade weaves through the Weber defense during second half play. Davis beat Weber 2-0 Thursday in the 5A girls' soccer state tournament quarterfinal game, October 13, 2016. 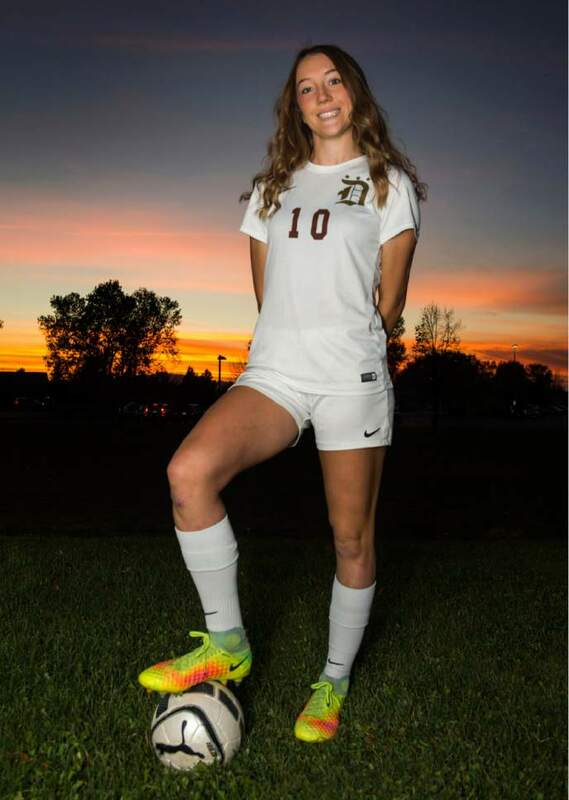 Rick Egan | The Salt Lake Tribune Davis High's Olivia Wade has been named The Tribune's 2016 Player of the Year in girls' soccer after leading the state in scoring and helping the Darts capture their third consecutive Class 5A championship. Monday, November 7, 2016. 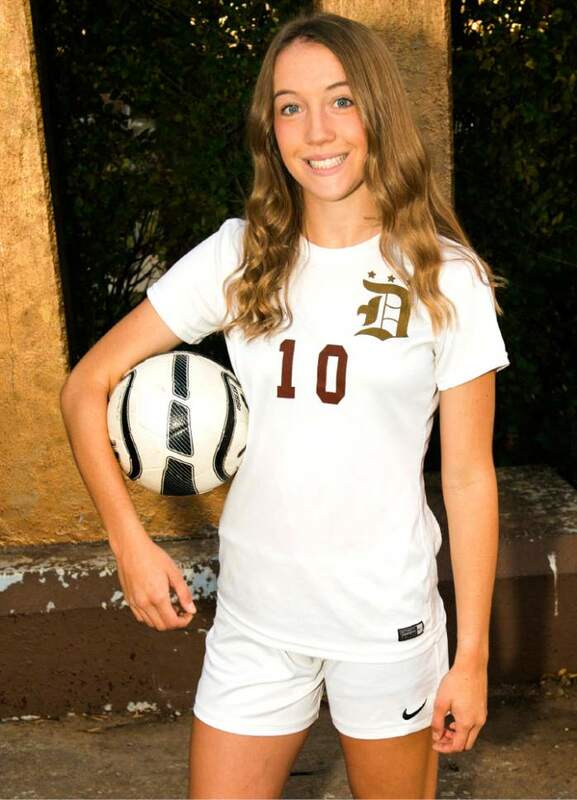 Rick Egan | The Salt Lake Tribune Davis High's Olivia Wade has been named The Tribune's 2016 Player of the Year in girls' soccer after leading the state in scoring and helping the Darts capture their third consecutive Class 5A championship. Monday, November 7, 2016. 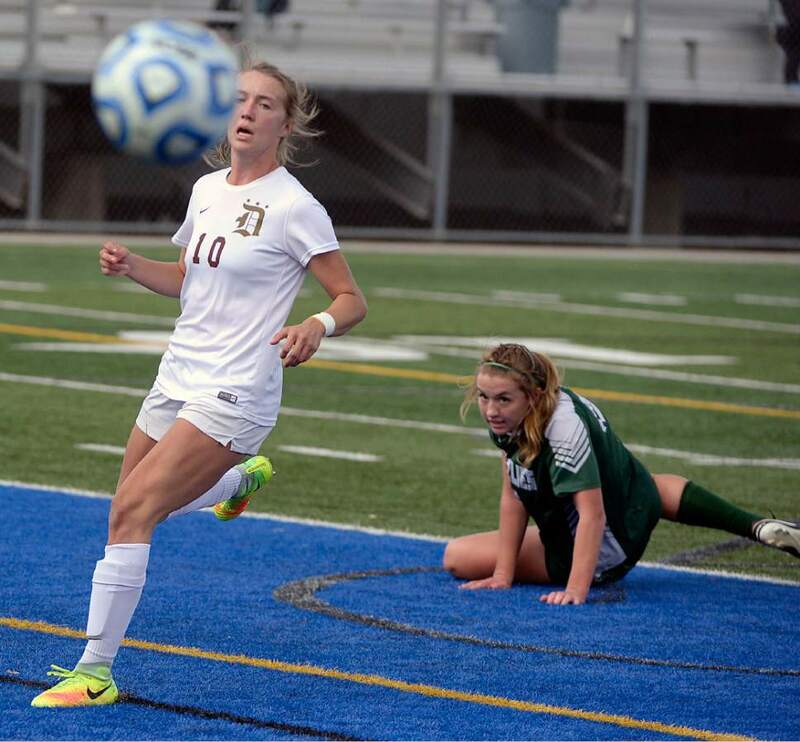 Al Hartmann | The Salt Lake Tribune Davis High School's , Olivia Wade, left, blasts a shot downfield against Copper Hills players in 5A semifinal Girl's soccer match Tuesday Oct. 18. Chris Detrick | The Salt Lake Tribune Davis' Olivia Wade (10) celebrates after scoring a goal during the 5A girls' state soccer championship at Rio Tinto Stadium Friday October 21, 2016. Leah Hogsten | The Salt Lake Tribune Copper Hills' Carlos Becerra-Gomez and Bingham's Tommy Merniez battle for possession. Bingham High School boys' soccer team defeated Copper Hills High School 2-1, during their game April 25, 2017. 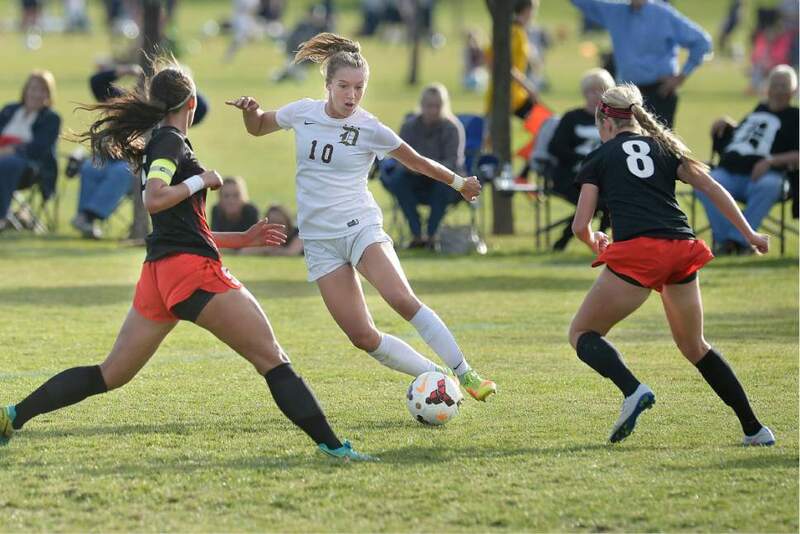 Al Hartmann | The Salt Lake Tribune Davis High School's Olivia Wade, left, chases ball downfield against Copper Hills players in 5A semifinal Girl's Soccer match Tuesday Oct. 18. Leah Hogsten | The Salt Lake Tribune Copper Hills' Carlos Becerra-Gomez kicks a penalty kick to teammate Aaron Nixon who knocks in a goal. 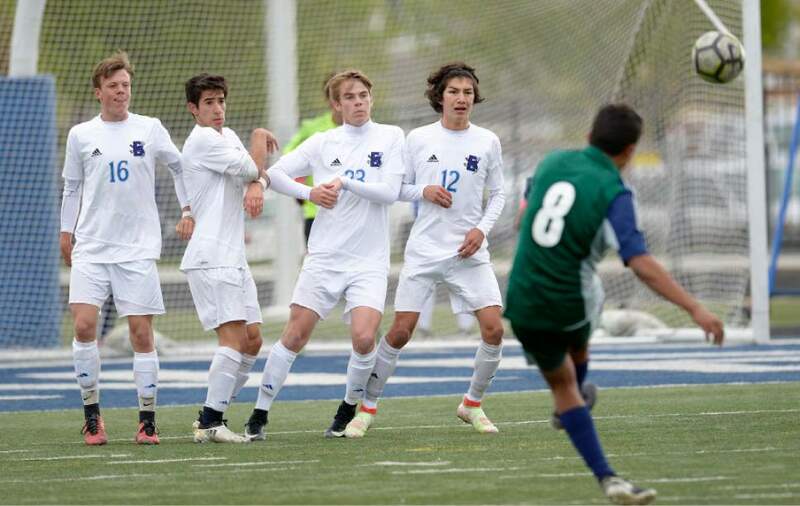 Bingham High School boys' soccer team defeated Copper Hills High School 2-1, during their game April 25, 2017. 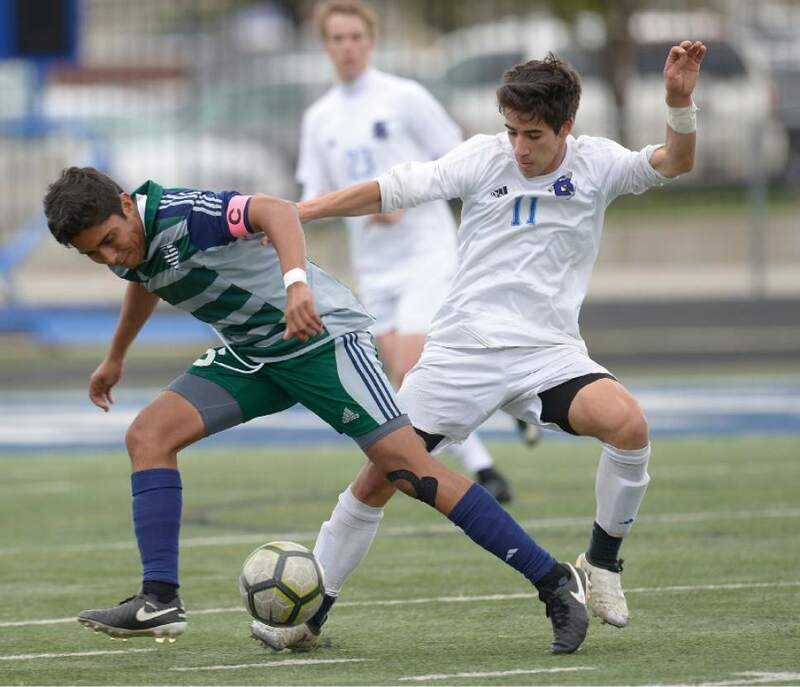 Copper Hills senior Carlos Becerra was honored as the Gatorade Utah Boys Soccer Player of the Year, while Davis&apos; Olivia Wade was picked as the Gatorade Utah Girls Soccer Player of the Year. Becerra helped the Grizzlies reach the Class 5A state semifinals by scoring 13 goals and adding nine assists this spring. "Carlos Becerra is dangerous from anywhere and everywhere," West Jordan coach Thao Tran said in a release. "He&apos;s very strong on the ball, with a very high soccer IQ, and he plays the game with a passion." The midfielder plans to play at Coastal Carolina next season. Wade helped guide the Darts to the Class 5A state championship last fall. 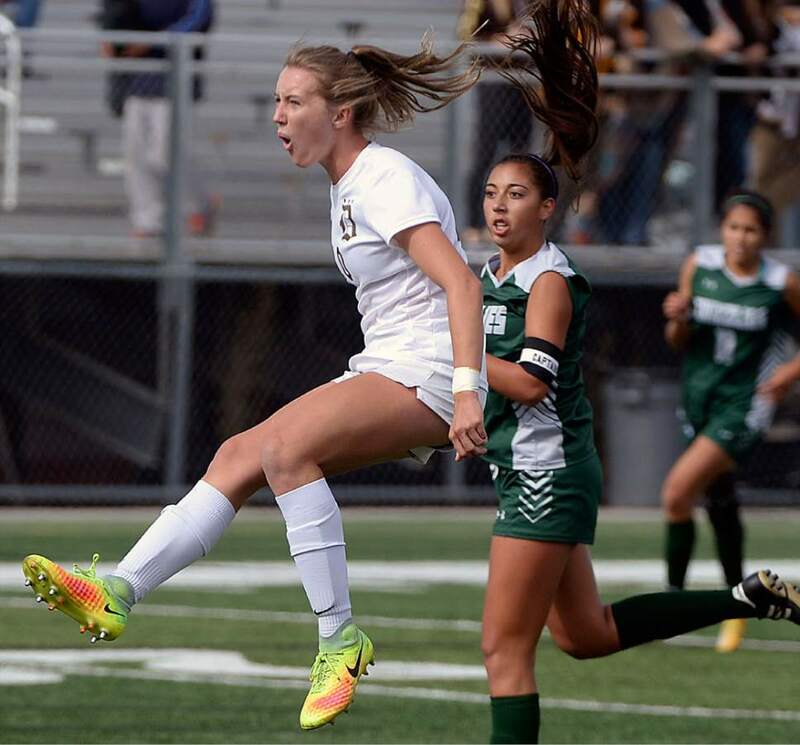 The junior forward/midfielder scored 42 goals and assisted on 25. "Olivia just dominates," Fremont coach Kelly Parke said in a release. "She&apos;s so versatile. When they got ahead, she slid back to defend. When they need goals, she goes up top. They&apos;re a totally different team if she isn&apos;t there."